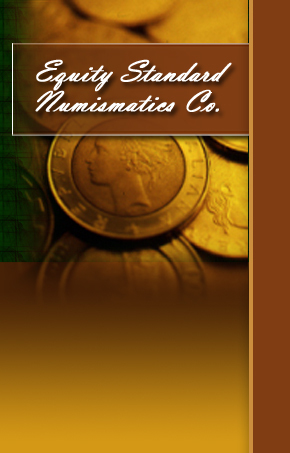 Equity Standard Numismatics of Kansas is a full service coin business dealing in all aspects of the numismatic industry. 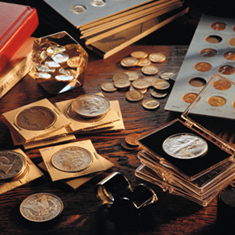 We provide committed service to the young collector, serious investor and major coin wholesalers. We specialize in United States coinage of all denominations, as well as gold and silver bullion and currency. If you are searching for an elusive rare date to complete your collection, or if you handle bulk purchasing for your own company, please give us an opportunity to meet your needs. Our inventory is vast and continually changing. Please check back often, as new items will be added frequently. In addition to selling coins of all types, we also buy gold, gold teeth, scrap gold, gold jewelry, pocket watches, platinum, silver, and coins. We buy from private collectors as well as other dealers. If you are looking to sell an item or collection, please let us know what you have to offer. Equity Standard Numismatics of Kansas has the most experienced staff in the city. Appraisals done by ISA member. © Equity Standard Numesmatics. All rights reserved. Licensed content used with permission.